La Ronde Little League had the honour of joining the Little League organization in 1980. 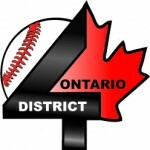 To date, the league has hosted the first even Minor Canadian Championships, six Provincial Championships and 10 District 4 Championships and, our greatest success, the 2005 Major Canadian Championships. LaRonde Little League is proud to say that our youth baseball program has grown into a prosperous and competitive one over the past few years under the watchful eyes of young alumni little leaguers.